Palm Beach County’s Riviera Beach is emerging as one of South Florida’s newest real estate submarkets for opportunistic investors. The area with the most potential is the Broadway Corridor, a district that is undergoing significant transformation fueled by public and private investment. I recently listed a six-story office building at 2001 Broadway and find the area’s upside potential to be exciting. The corridor is filled with buildings waiting to be repositioned to serve Palm Beach’s rapidly expanding population. For example, my listing consists of 58,460 rentable square feet of office and is half vacant. 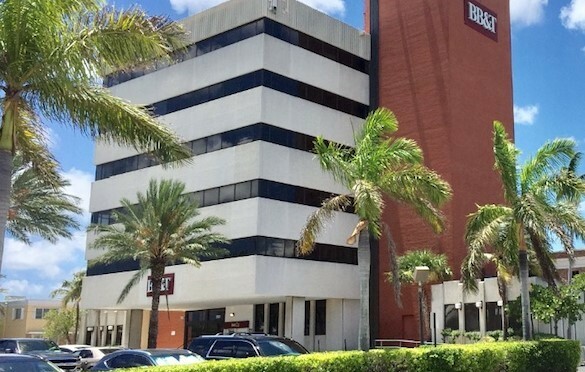 About 53 percent of the space is occupied by tenants such as BB&T, the Riviera Beach Community Redevelopment Agency, and House of God International. Listed at $4.7 million, the asset is selling with an additional 1.13-acre development site zoned for a 221,790-square-foot commercial building or a 100-unit residential project. The Broadway Corridor is experiencing an urban revival led by the Riviera Beach Community Redevelopment Agency. The beautification and revitalization of the corridor promises to facilitate growth in one of the city’s primary business districts. Some improvements include burying utility lines and demolishing unkempt buildings. For example, a space left vacant by a demolished building is now a ‘pocket’ park at the intersection of Broadway and Blue Heron Boulevard, near my listing at 2001 Broadway. The corridor also encompasses the Riviera Beach Marina Village, a marina-anchored, retail, restaurant, entertainment and recreation destination in an authentic village setting at the gateway to Peanut Island Eco-Park. This area is slated to become home to a Florida Tri-Rail Station on 13th Street, connecting major urban South Florida business and entertainment/cultural centers. Riviera Beach is increasingly catching the eyes of investors seeking value-added office buildings in areas that are strategically located and surrounded by high density. After my experience with 2001 Broadway, I have no doubt this submarket has become a new frontier for urban infill redevelopment.